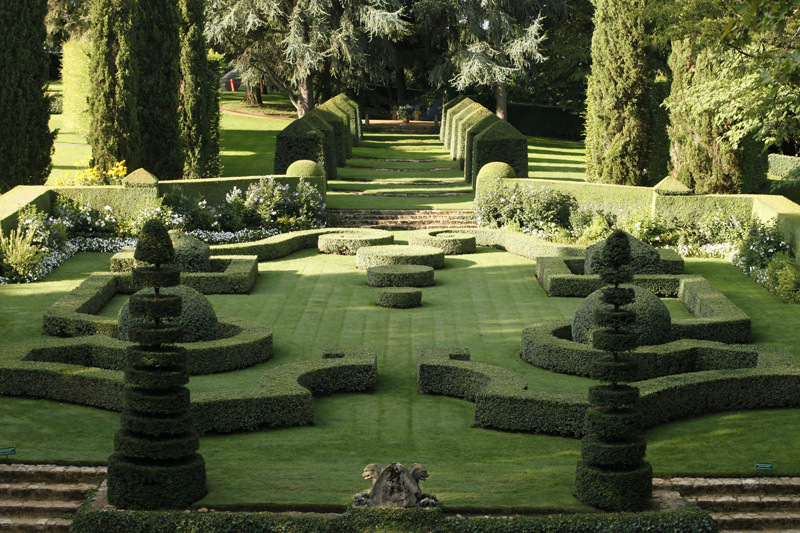 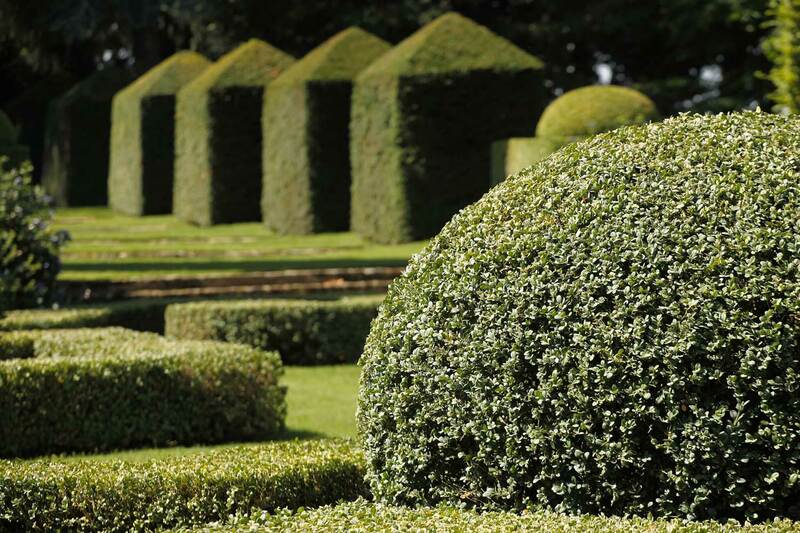 The art of topiary is an ancient craft practiced since Antiquity. 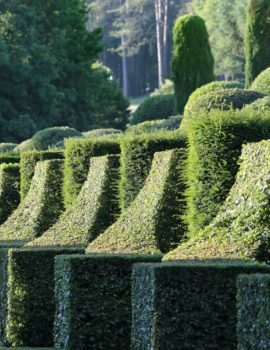 It is to plants what sculpture is to stone ; that is to say the art of changing a raw material into an intelligible form either geometric or free-form. 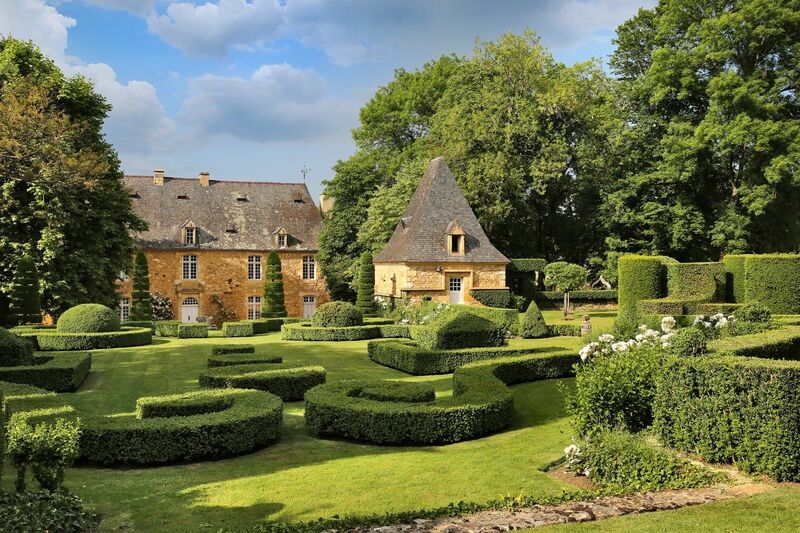 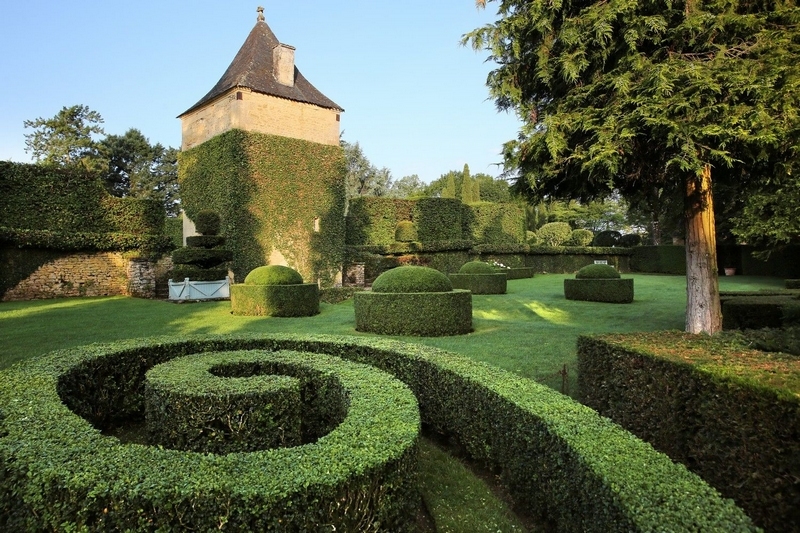 Eyrignac is the indisputable leader in the art of topiary. 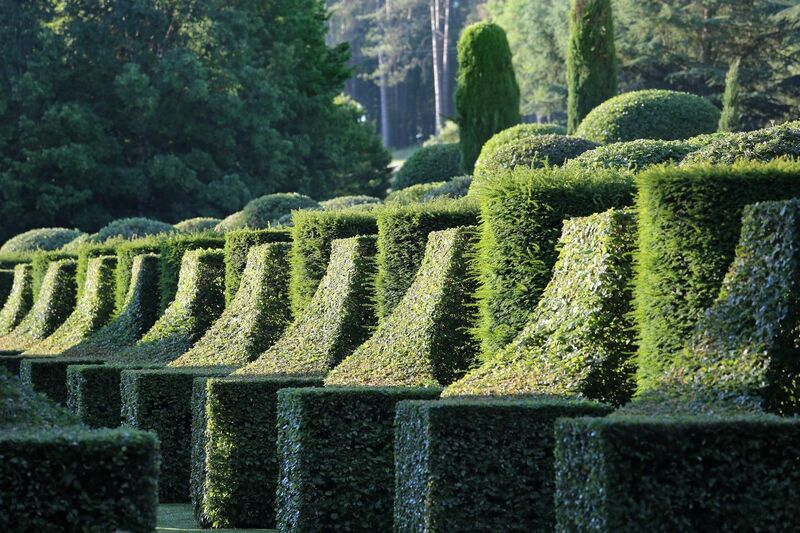 The gardens are a veritable encyclopaedia of shapes and forms. 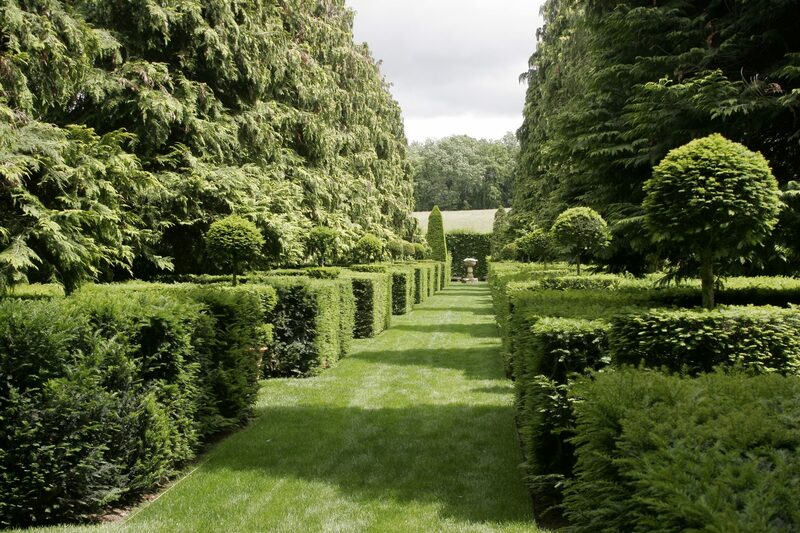 Amongst the geometric forms can be found simple shapes : cones, discs, spirals, spheres, cylinders and cubes, which can be combined to create complex groups as in the epic Hornbeam Avenue. 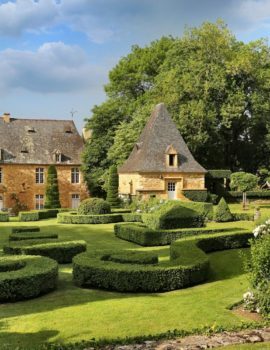 In the less formal parts of the garden, the gardeners have allowed their imagination free rein using topiary to reflect the countryside by representing a charming farmyard. 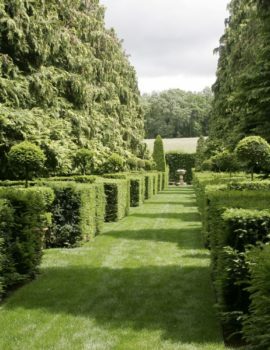 There is a goose, ducks, a dog, sheep, a squirrel, a peacock, rabbits, a hen and a rooster. 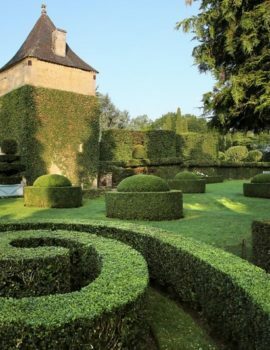 The art of topiary can also be used to make charming motifs using plants. 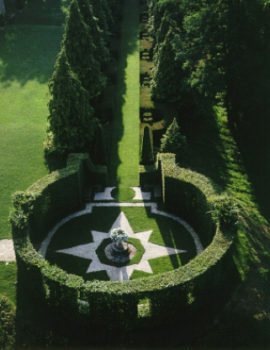 The refined circular seating area, the graceful arabesques in the French-style flowerbeds and the stars of Box in the Rose Garden are perfect examples of the diverse creations. 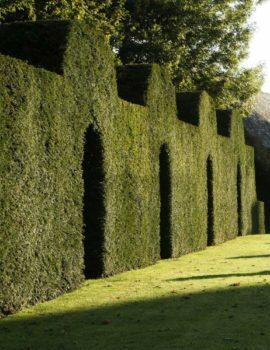 All the plant shapes are achieved using hand shears, cord and a plumb line, just like the work of a master craftsman. 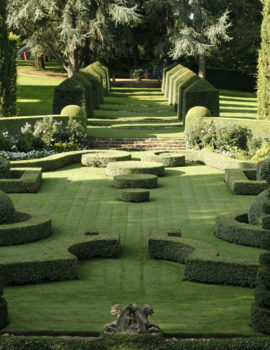 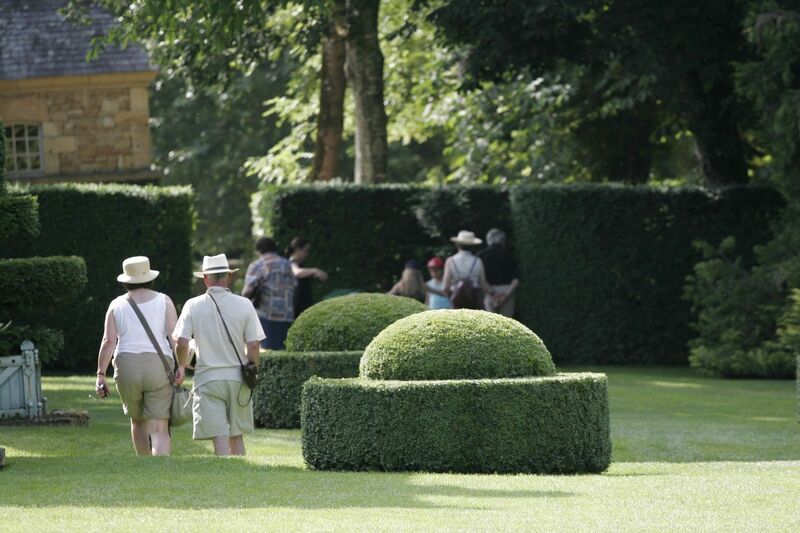 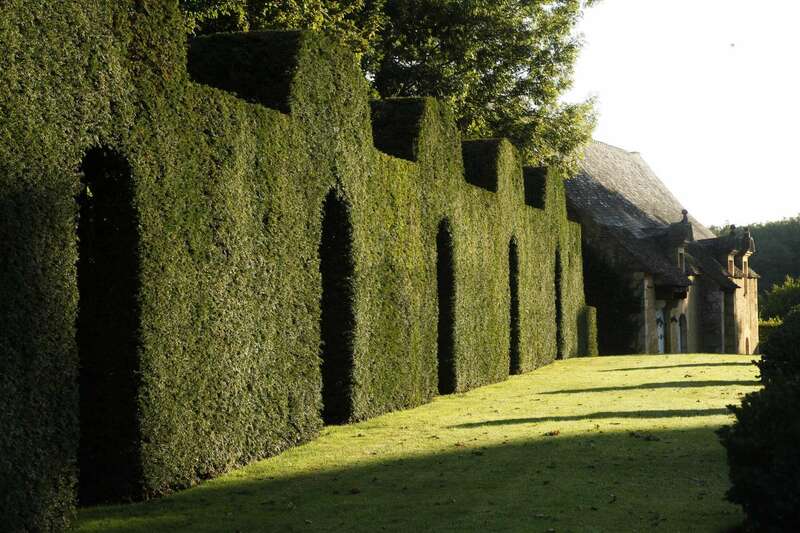 The Hornbeam Avenue alone requires clipping four to five times a year between May and September. 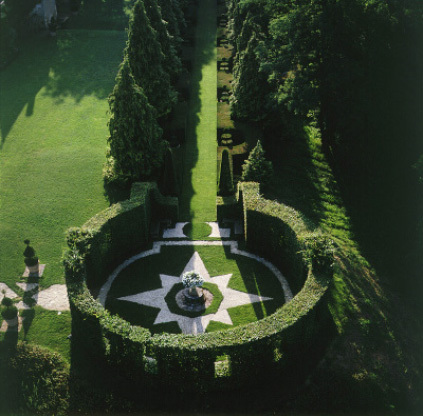 To give the windows of the green rotunda their rounded shape, the gardeners use precise wooden templates. 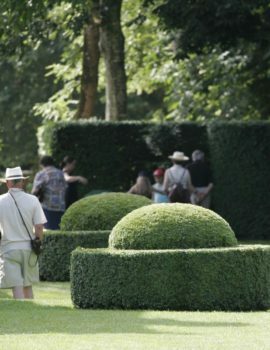 A completely different technique is used for the farmyard animals. 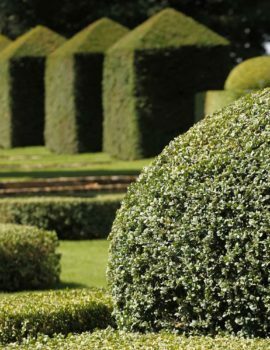 Bamboo canes are positioned on young Box to guide their branches and therefore encouraging the plant into the desired shape. 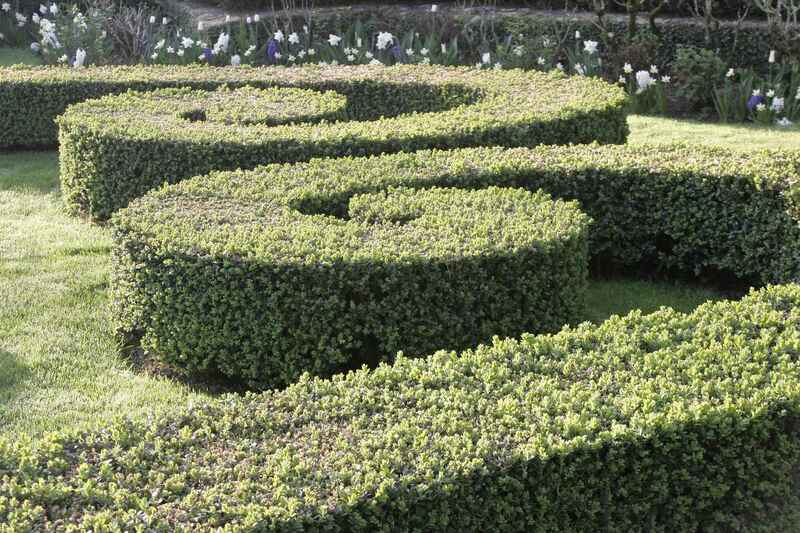 In spring time the gardeners, only by eye and with hand shears, clip the shapes accordingly. 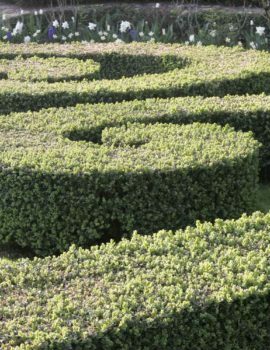 It is of course possible to use a mesh structure to enclose the young Box and then to clip the foliage protruding through the mesh. 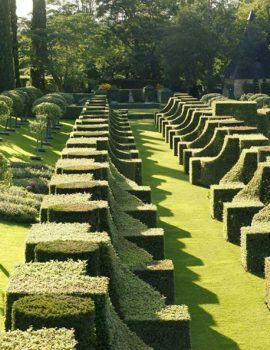 It takes several years and a lot of patience to form the topiary shapes.